Bertolt Brecht, Augusto Boal and the British Theatre In Education movement. 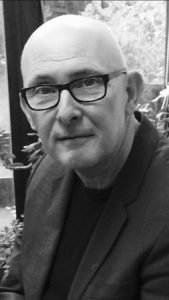 Chris – through his company Chris Stagg Associates – has worked as a director, facilitator, script-writer and actor with numerous business organisations in the private, public and charitable sectors. Chris is the recipient of two Arts & Business awards for innovation in organisational learning and development.